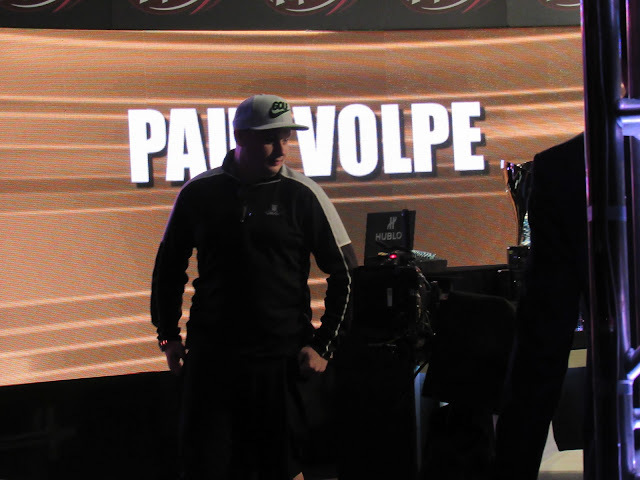 On the very next hand, Paul Volpe is all in for 1,370,000 with [Ah][Ad] and is called by Chino Rheem holding [As][Qc]. Paul is in great shape to double up when the flop falls [6h][Ac][Td], and the [2s] on the turn means Chino is drawing dead. The meaningless [Kh] on the river means Paul will double up.